Klubert + Schmidt also takes over the manufacture and adaptation of individual parts for client-specific applications. 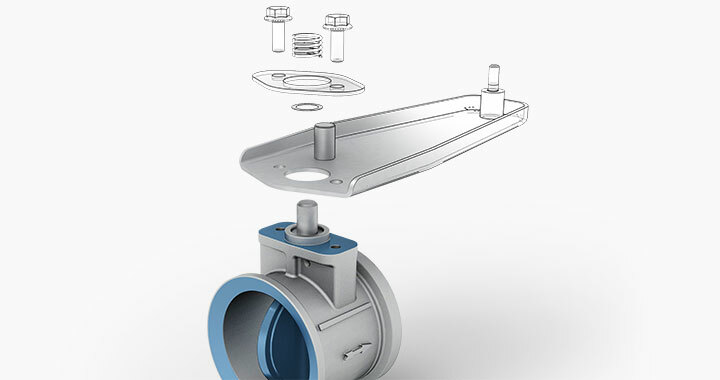 Our valves are operated for example with pneumatic, hydraulic or electric actuators. Together with the suppliers, we take over the optimisation and adaptation of these actuators so that they are specially coordinated with each client requirement. levers, corrugation, bearing bushing as well as standardised parts/small parts, such as screws, nuts, discs, bolts etc.